Walking in the city or around the neighborhood for 1-3 miles only requires one bottle of water for me. But since I always have my keys and my phone with me, I like for my water bottle holder to also carry these items as well. 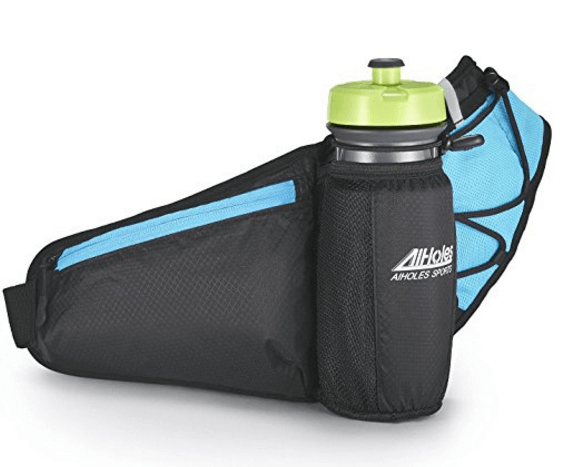 I prefer the AIHOLES single water bottle carrier. This one does not come with a water bottle, which is fine, because I prefer this Polar water bottle which comes in a gazillion colors. 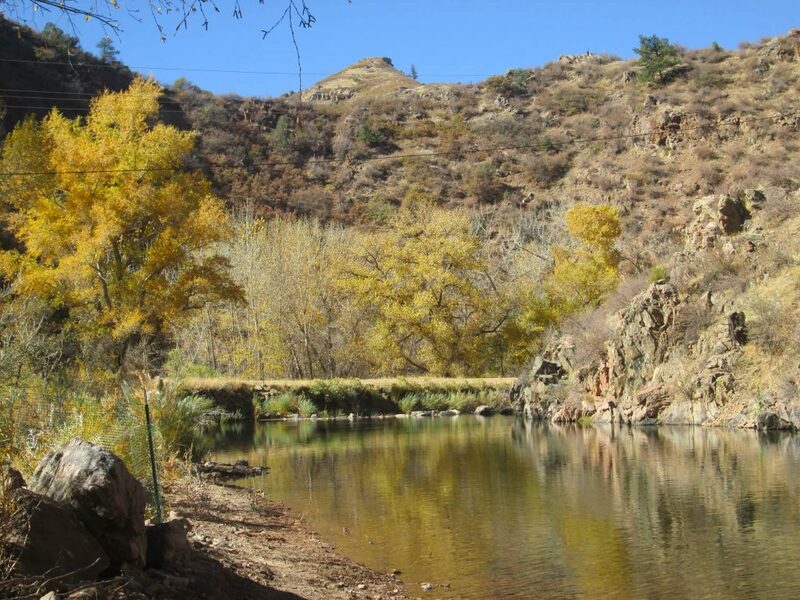 When my walks and urban hikes turn into longer jaunts, like over 5 miles, I prefer to use a bladder. Or, when I’m leading walks and I have to carry first aid kits, extra snacks, extra layers, etc, I use a backpack with a spot for a bladder. 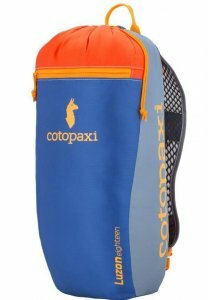 I like the fun Cotopaxi Luzon 18 L bag, especially since you can get it in unique colors, and the Deuter Compact bag for its perfect size and excellent support. 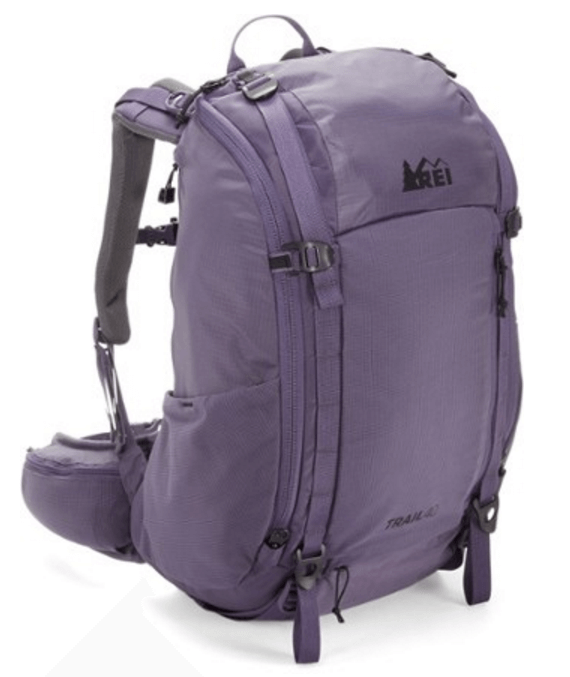 When I’m doing planes, trains, automobiles or doing long day hikes, I prefer the REI Day Pack. This is my go-to for most of my backpack-oriented travel where I’ll be in/out of museums, hostels, or when I’m day hiking and have portage for other gear. 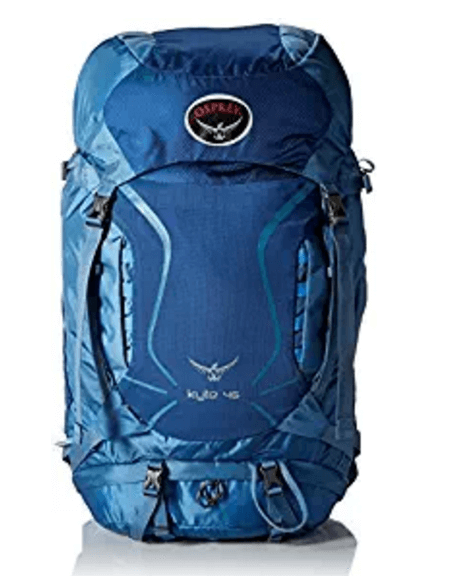 And finally, when I’m walking long hikes like on the Appalachian Trail or the Bruce Trail, I like my Osprey Kyte 46. 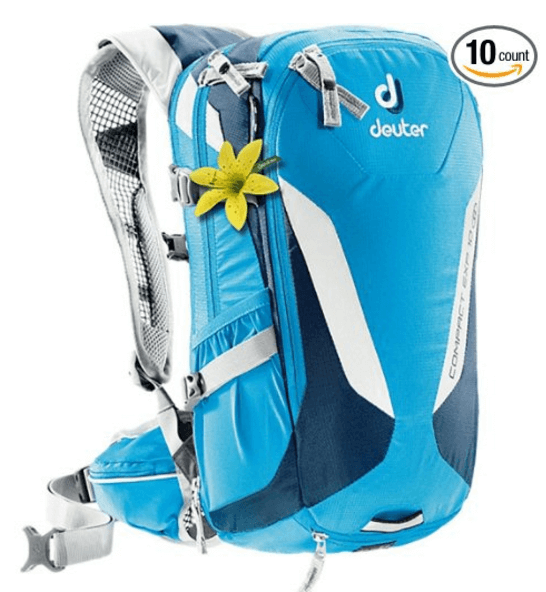 It’s a true gem for stuffing a tent, sleeping bag, water sterilizer, clothes, and food. 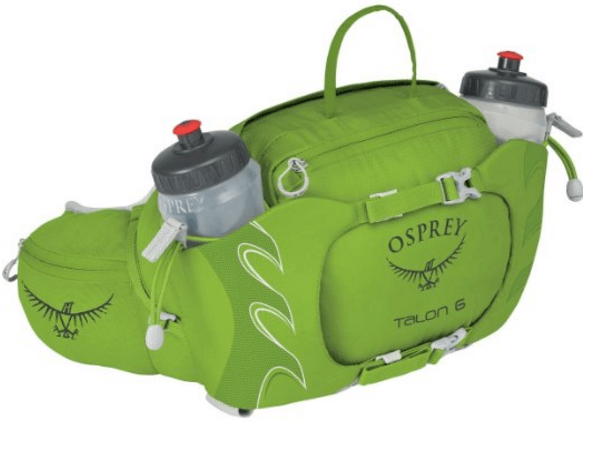 All of the packs above can fit any size bladder, and a few of them come with a bladder. But if you need to buy a stand-alone bladder or another size of bladder (I have a 1-liter and a 2-liter), I prefer a clear bladder with a twist top rather than a slide top. In the dark, with low light, the twist top is easier to refill than trying to manage sliding a thin piece of plastic across an unruly edge. The clear color allows you to see any mold or debris. Be sure to empty your bladder every time, and let it dry completely. 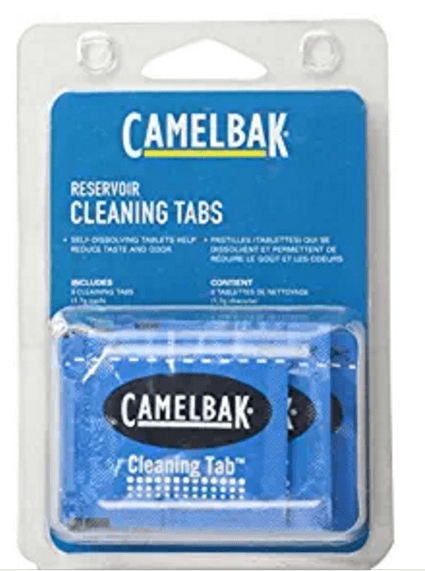 I use bladder cleaners a couple of times a year, and they do a wonderful job. Finally, if you need to sterilize your water, my best recommendation is the Steri-Pen, which I reviewed earlier. 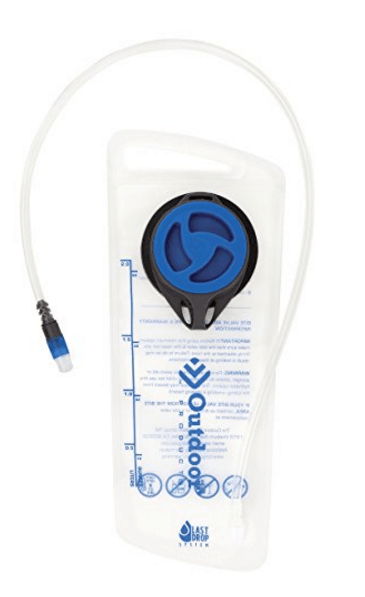 I used this along the Appalachian Trail with ease while my friends struggled with their filtration systems. Happy watering! What do you use? What would you recommend?